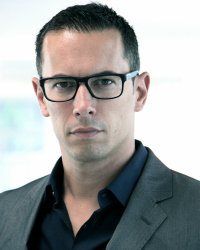 Olivier Oullier, PhD, is President of EMOTIV, the world leader in portable, scalable, and cost-effective brain measuring and cloud-based analytics solutions. Prior to joining EMOTIV, he was a Member of the Executive Committee and the Global Head of Strategy in Health and Healthcare of the World Economic Forum, a Professor of Behavioral and Brain Sciences at Aix-Marseille University and the Director of the Neuroscience and Public Policy Program at the Center for Strategic Analyses of the Prime Minister of France. Prof. Oullier’s research focuses on decision neuroscience applied to consumer and patient engagement and behavior change. Named a Young Global Leader by the World Economic Forum, and sitting on France’s Parliamentary Office for Science and Technology, he has (co-) authored more than 200 scientific and mainstream publications. He currently writes a column on neurotechnologies “This is your brain on business” in Fortune Magazine. Olivier designs, implements and evaluates evidence-informed multi-scale behavior and system change strategies for public and private organizations. He has developed a proprietary methodology allowing to assess the gap between intention (what people say/think they do) and action (what they do in their daily activities and environments). His lab and applied research focuses on consumer behavior, engagement, influence, social coordination dynamics, decision neuroscience.